When it comes to running a successful business in Mclean, Virginia, profit is the first thing on your list. Security is probably a close second, or at least it should be. Did you know that a property crime – burglary, larceny, theft, motor vehicle theft, arson, or vandalism – occurs in the United States every 2.1 minutes? According to neighborhoodscout.com, there are approximately 176,985 property crimes annually in Virginia. Yikes! So maybe it’s time to make security a bigger priority. 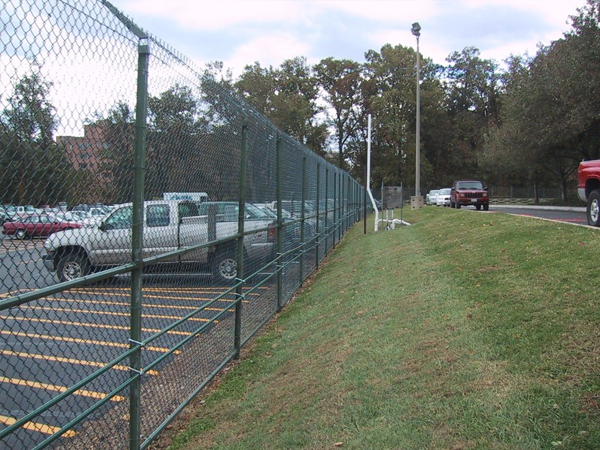 Hercules Fence has been a commercial fence provider since 1955, specializing in Chain Link, Ornamental Aluminum, Crash Rated Barriers, and Anti-terrorism Cable. We pride ourselves in installing high quality fences at affordable prices. As the largest fence company in Virginia, we have the luxury of purchasing the fence you want at a price you will love. We will work with you to customize and install a commercial fence specifically designed to fit your business needs. When you call today, a trained commercial salesperson will listen to your wants and needs and explain what product is right for you and your business. A fence is an affordable way to improve the security of your commercial facility. 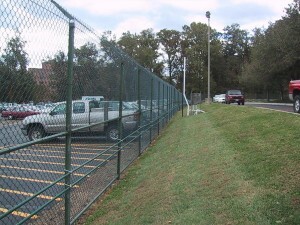 A strong commercial fence can help prevent theft, vandalism, and countless other crimes. A high-quality commercial fence will also boost the curb appeal of your business, which can help you attract and retain clients. As they say, image is everything. A commercial fence can help improve privacy, which, depending on your business, could be a top-priority. Interested in a New Commercial Fence? Please contact Hercules Fence of Mclean, Virginia by calling (703) 551-2609 or visiting our website. Hercules Fence has completed many high-profile projects with U.S. Army Base, Ft. Lee; Homeland Security; Quantico Marine Base; Treasury Department; Department of Labor; United States Coastguard; DEA; Langley Air Force Base; NASA; Federal Reserve; Pentagon; FBI; CIA; and more. You can also follow Hercules Fence on Facebook, Twitter, Google+ and YouTube! This entry was posted on Friday, December 5th, 2014 at 2:18 pm. Both comments and pings are currently closed.